in Appetizer/Snack Evening snack, Bengali recipe, Breakfast, south Indian recipes, Veg. In the same pan, add just 1 tsp. oil, fry the chopped coconut pieces till they are brown, then temper with dry red chilli, ginger and green chillies, mustard seeds and lastly with curry leaves and poppy seeds. 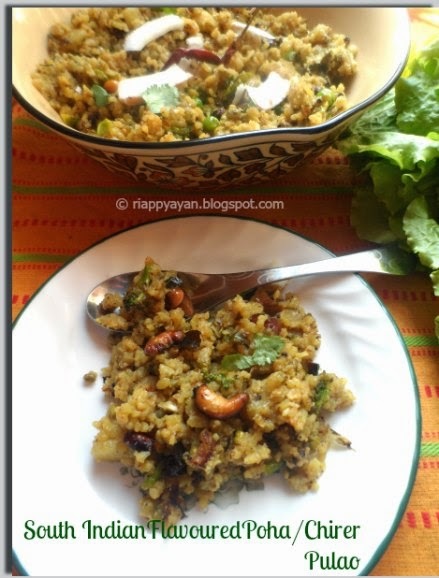 Clean rice flakes/poha nicely with water, drain all the water and immediately add into the temper. 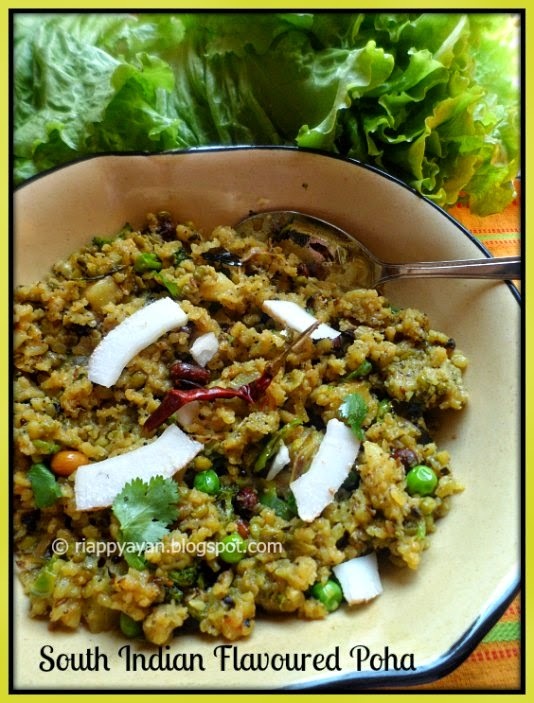 Add fried vegetables, green moong dal and nuts, mix well everything. Add salt, turmeric and red chilli powder and mix again. 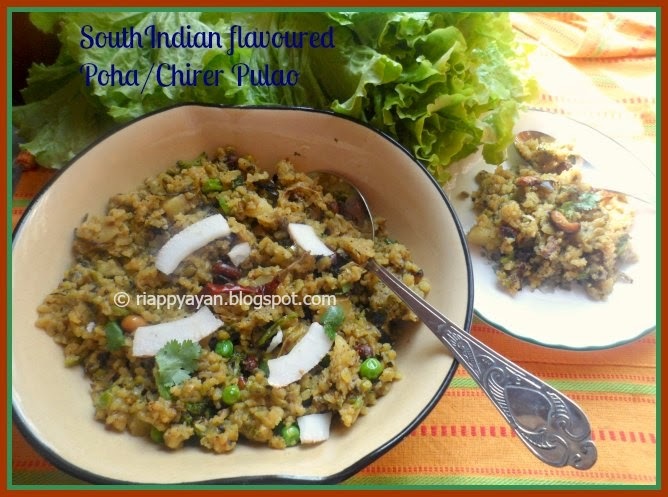 It should not be on heat for long time, otherwise poha will be mushy. Stir and mix everything quickly and remove from heat. Labels: Appetizer/Snack Evening snack, Bengali recipe, Breakfast, south Indian recipes, Veg. Lovely recipe Rach. Easy to make and tasty to eat.